Liverpool have offered Steven Gerrard “all the support he needs” after his arrest in a Southport night club in the early hours of Monday morning. 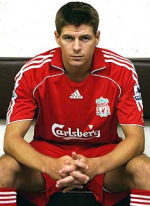 Gerrard was arrested with 5 other men after an altercation at The Lounge Inn and the Liverpool and England star along with 2 of the men have subsequently been charged with assault and affray. A 34-year-old man was taken to hospital with facial injuries after the alleged incident. Steven has been an outstanding servant to Liverpool for the last 10 years and the club will give him all the support he needs at this time. Meanwhile, the Football Assocation said it would not be making any comment on the Steven Gerrard case other than to stress that his position with England was not under question. Gerrard, along with John Doran and Ian Smith, will appear at North Sefton Magistrates’ Court on 23 January, accused of assault occasioning actual bodily harm and affray. Three other men have been released on police bail pending further inquiries.